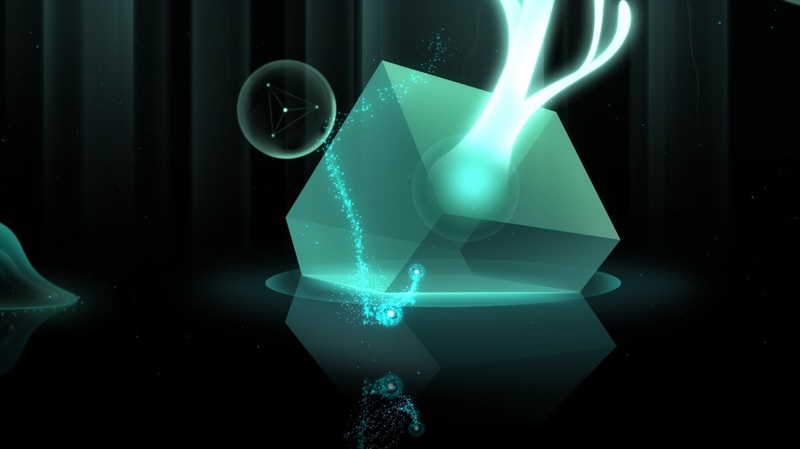 While I was wandering around IndieCade 2014, I came across an unassuming game called Gemini. Though the Culver City Firehouse was filled with the same kind of noise level you would expect from an arcade, I managed to find a tranquil moment as I put on a pair of headphones to give Gemini a try. There really isn’t much to it. The game starts and soon you are looking at a landscape of stars. When you click, one particular star starts moving. Soon, your star encounters another star, and that’s when the magic begins. When the two stars are in close proximity, the one you control pulls the other towards it, and they mutually being to float up into the sky, but when they become separated, they begin to fall. This is the primary control mechanic in Gemini. The objective of the game is to light up the sky, which is full of dim stars just waiting to be brightened. As you travel through the cosmos, listening to a soothing piano melody and the sounds of each illuminated star, the experience actually becomes meditative. I’m not sure how long I sat there, guiding this pair of stars. All I know is that by the time I completed the demo, I felt more relaxed, as though I had escape the chaos of IndieCade, and gone on a little, peaceful journey. I’m honestly not sure what else to say about Gemini. It isn’t an incredibly complicated game in its current state, assuming you can even call it a game. But I am glad I had the opportunity to spend some time with it, and I look forward relaxing with Gemini again when the game is finished. For more on Gemini, check out the official webpage.